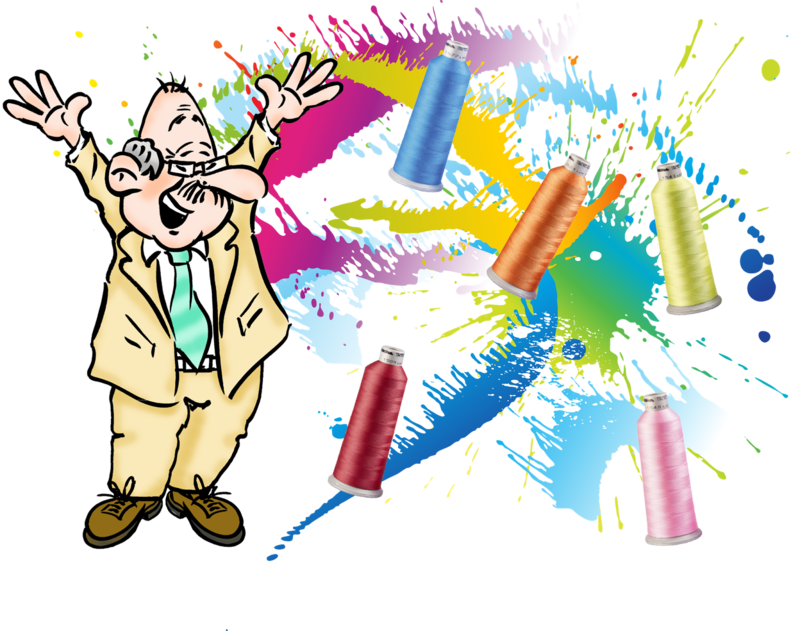 At Madeira USA, we’re helping (in the interest of full disclosure, I work for Madeira USA on the days I’m not at the beach) by supplementing our already bountiful Polyester thread offering with 72 new colors (57 fashion shades, 5 fluorescent colors and 10 multi-colors). If you haven’t already received the new Polyneon card #100-82, you can order one when you place your next Purchase Order or at either ISS Orlando or ISS Ft. Worth. If you don’t use Madeira Polyneon, you should call your thread supplier periodically and inquire if they’ve added (or deleted) any colors and request a new thread card. Thread cards should be changed every few years as a matter of course because after years of exposure to sunlight, incandescent and fluorescent light and those new weird-looking corkscrew-shaped bulbs, the thread on the card can fade and may no longer match the thread you receive from your supplier.